If you are shopping for new flooring, whether its hardwood, carpet or tile, its important that you are aware of the size of your room. Not all rooms are perfectly square. Accounting for closets, doorways and stairs takes a special knack. And if you forget to add in these small details, you might find yourself with different lot and dye numbers if you have to reorder, throwing your look of symmetry of as you move from one room to the next. Make a basic sketch of your room. Be sure to include windows and doors, hallways and closets. A sketch is fine; it doesn’t need to be proportional. Just make sure it’s a good representation of the room you’ll be adding new flooring to. Measure your room by using your sketch as a guide. Use your tape measure to measure running dimensions from one side to the next. Be sure to note each measurement, and at what point is was calculated. Measure both width and length, and incorporate measurements to include windows, doors, and other pieces of your room that will need adjustment when calculating the amount of flooring you will need. When you have complete measurements, redraw your room if necessary. Make sure you have a good visual representation of the length and width of your room. Make sure its readable, and answers any question a contractor may have as you are searching for flooring. 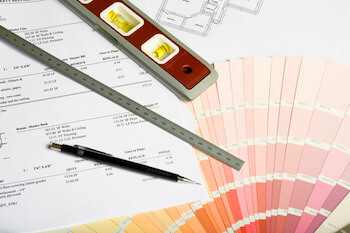 Copy your floorplan to have several copies for both you and potential contractors. You can also keep them on file to help you when you are determining paint, window coverings and other décor options. Whether you will be relying on a contractor for professional installation, or will be looking for a DIY flooring option, these measurements are your starting point for purchasing the right amount of product for your room. If you have any questions, be sure to ask.